My original training and career path was ‘left brain’ as a registered dietitian. My college art education consisted of a general art appreciation class which first opened my eyes to the possibilities of creative expression. Approximately 20 years ago, I enrolled in classes encompassing basic drawing and color fundamentals at what was Watkins Institute in Nashville, Tennessee. I was fortunate to discover my love of the pastel medium during that time, and went on to take workshops from two internationally known pastelists, Daniel Greene and Albert Handell. Over the course of years my artistic pursuits often took second place to the demands of home and family. 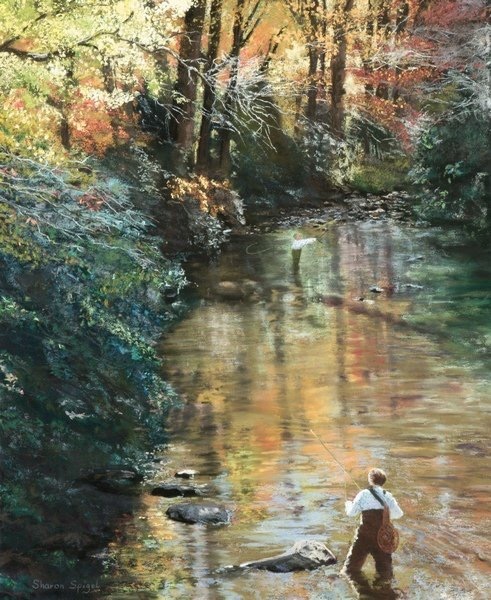 From 2000-2002 and from 2008-2011, I painted under well known Tennessee artist, Charles Brindley, during his hears of teaching classes and workshops at Cheekwood and University School of Nashville. From 2009-2013 I studied and painted under the tutelage of Robin Swaby, director of art instruction, at her Atelier: Academy of Fine Art and Design in Georgia. In February, 2015, I had the privilege of painting with award winning pastel landscape painter, Cindy House, at her studio in Warner, New Hampshire. I want my paintings to reflect God’s glory in the landscape in common everyday scenes. Psalm 19 says “The heavens declare the glory of God; the skies proclaim the work of His hands.” The Lord has blessed me with this talent and I want my work to reflect Him. Regional Art Leagues: Selected Works – January 19-March 31, 2013. At the Bascom in Highlands, North Carolina. Received first place award and people’s choice award for the painting “Castaway”. Williamson County Family and Community Education Cultural Arts Program, June 13, 2013. Received first place landscape for “Autumn Splendor” and also best of show honorable mention.